I’ve been working late, and have had meetings after work-so by the time I get home I throw together whatever random concoction I can from what I have on hand (this is why I try to ensure at the start of every week, I have on-hand, things that I can use or be creative with, that are easy and quick). I got home last night around 7 and was craving a salad so much, but no lettuce. I did have shredded cabbage though, so I thought, well, let’s make a cabbage salad! 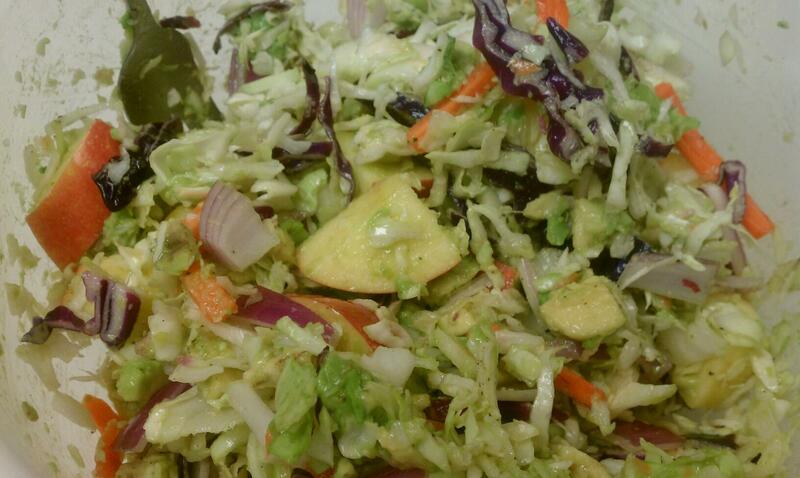 I poured the cabbage in the bowl, cut 2 avocados (they add the best creaminess to salads, and a healthy fat! 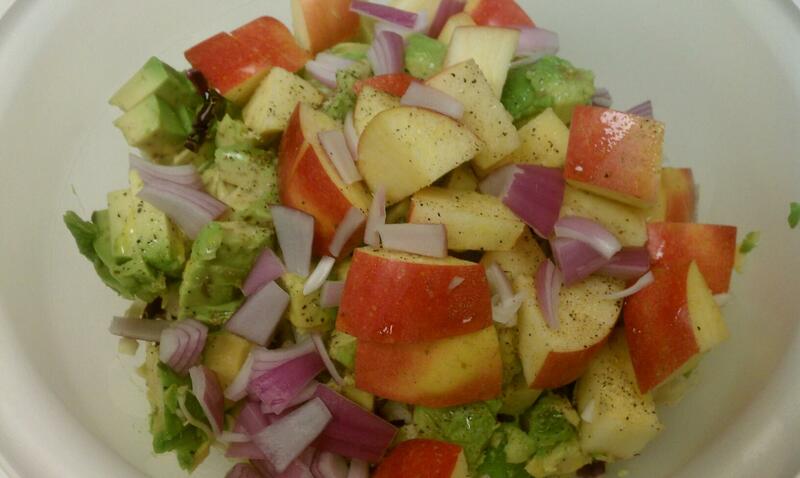 ), diced 1 apple, and loosely chopped the red onion. Then I drizzled olive oil and sprinkled with kosher salt and pepper. It was fabulous! I love cabbage. I also love spicy red onion with sweet red apple. Lessons learned here: things you wouldn’t normally throw together can actually be really tasty, thrown together 🙂 Yay for random simplicity! This entry was posted in Recipes and tagged Apple, Avocado, Cabbage, Healthy Fats, Paleo, Salad, Working Late by livinglikelinds. Bookmark the permalink. OMG, we had everything for this salad so we made it for supper tonight. It’s in the frig chilling. I snuck a little taste and it was SOOOOO good. Love it!